Since 2010, the mission of ABLR has been to provide financial assistance to one family/organization per year that has endured the struggles of a life altering illness and/or the loss of a loved one. The financial support is intended to provide an opportunity to strengthen the family/group bond, enhance quality time, and create new lasting memories. ABLR focuses its funding on business donations, community support, and fundraising done during a fun filled community event. 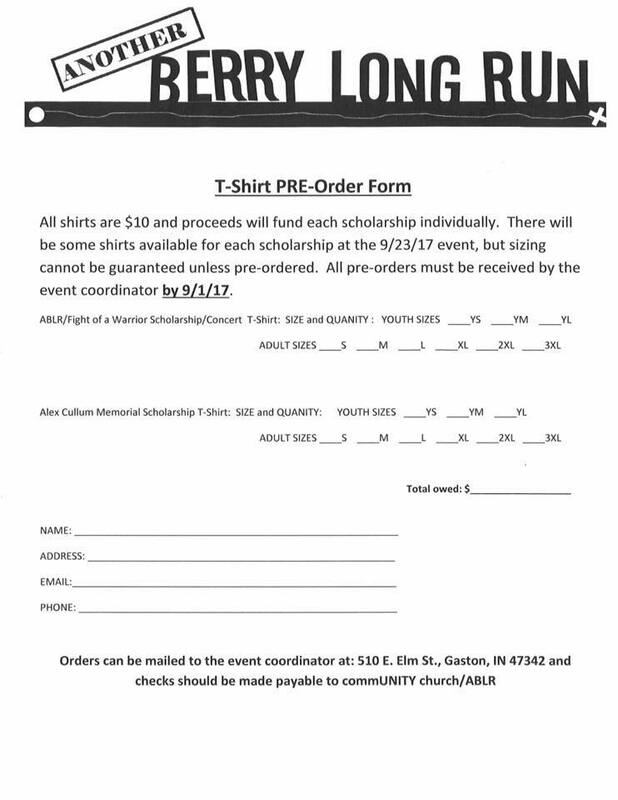 Beginning with 2016, ABLR has continued to host a community event, however all proceeds benefit the Fight of a Warrior, Ryan D. Berry Memorial Scholarship and other causes deemed appropriate. In 2010, Benji Koontz heard God tell him to "run for him", referring to Ryan Berry. A 26.2 mile run, with a crew of bicyclers, was completed and a community cookout was held to assist the Berry family as described in our mission statement. All of the Berry's time was spent at Mayo for Ryan's extensive treatment. After the event, Ryan asked Benji if he could run 26.2 again because he wanted to help another family. From there our efforts to support community members has continued. From Berry to Peterson, Peterson to Rolli, Rolli to Glaze, Glaze to Reno, Reno to WD Athletics, WD Athletics to creating our scholarship fund for a Warrior graduate. 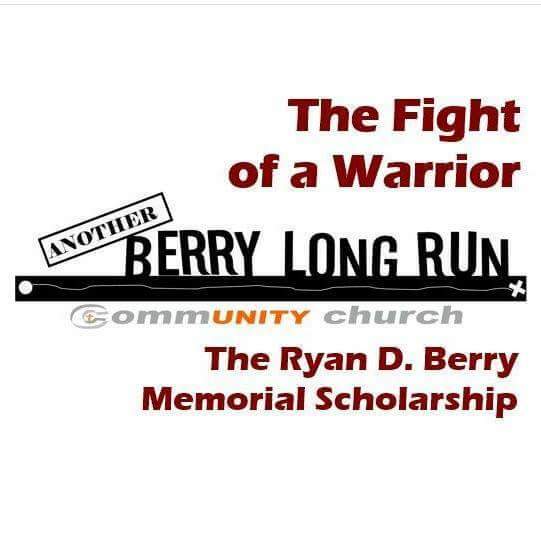 In 2016 the scholarship fund was created, the Fight of a Warrior, Ryan D. Berry Memorial Scholarship. We honored a Warrior legend, Richard E. Johnson, while raising funds for our scholarship fund. The first Warrior (Johnson) was honored along with a fighting Warrior (Berry) while raising money to assist another Warrior with their college education. Funds were also donated to the Rob Bironas fund and his aunt, a Delaware County local, was present for the first ever World's Longest Field Goal Approach. ABLR has provided the community, each year since 2010, with a free community event including activities such as grilled foods, concessions, bounce houses, water slides, field day games, Rock-Paper-Scissors Tournaments, Pumpkin Ball Tournaments, Zumba-Thons, and live music. For 2017, we will follow a similar format to that of 2016. ABLR will be hosting the free summer concert in Gaston on the evening of 9/23/17 along side the Barking Cow. The Hunter Smith Band, former Indianapolis Colts punter, will be providing our live music. Prior to the concert, Hunter Smith will kick off the event, literally, with 3 field goals in the center of town. At the band's break, Benji Koontz will run 1 mile (surrounded by Warrior Pride) and will attempt to perfect the World's Longest Field Goal Approach for the second year in a row. Three field goals will be kicked in honor of a true Warrior, Alex Cullum. At the event ABLR will have a table with shirt sales and will also provide fun activities for the community. This year ABLR will continue to support the Rob Bironas fund, further we will be assisting with funding the Alex Cullum Memorial Scholarship. A table will be present to purchase shirts in support of this fund and to make other donations. 2017 will be a year to remember, honoring a couple of amazing people, funding a few great causes, and making lasting memories within our community.